Registration form in asp.net C# with validation using SQL Server ~ Dot Net Tutorial For Beginner. In this tutorial, I am going to explain about "asp.net registration form" using SQL Server database. Actually, if you are a beginner in asp.net Technology might be you are thinking that registration form is not easy to create. But don't worry if you follow the given step, it will be very easy to create asp.net form. 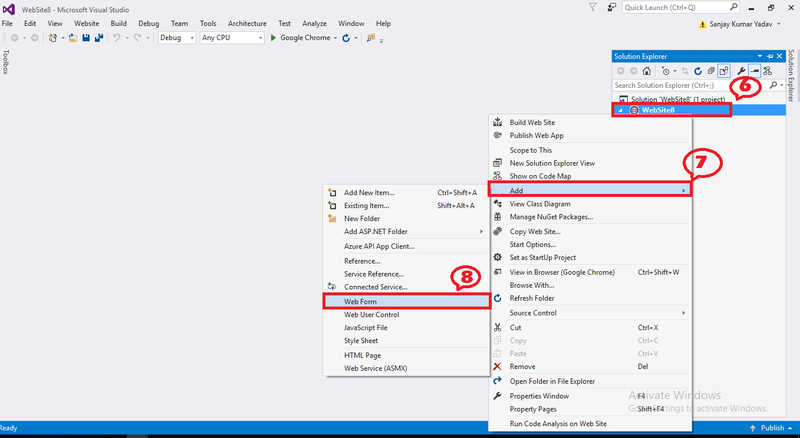 Here you will see 2 Phase during the asp.net web form creation. First, Database where your query logic gets placed. Second(Web Form), In this phase you will see two part of a web form (.cs and aspx). Cs page is a server-side page where our C# code and logic is written and .aspx is a client-side page, on client-side page our validation and design are implemented. In this tutorial, we will also implement client-side validation with asp.net registration form. 1. Create one table (SQL Server) in which our record will we insert. 2. Create a store-procedure to insert data. 1. Add connection-string in the web config file. 3. Add some textbox (for Name, Phone No, EmailID, Password)according to your requirement and add a Registration button. 4. Now, come on cs page (code-behind page) and write the logic and code to insert the record in a database. 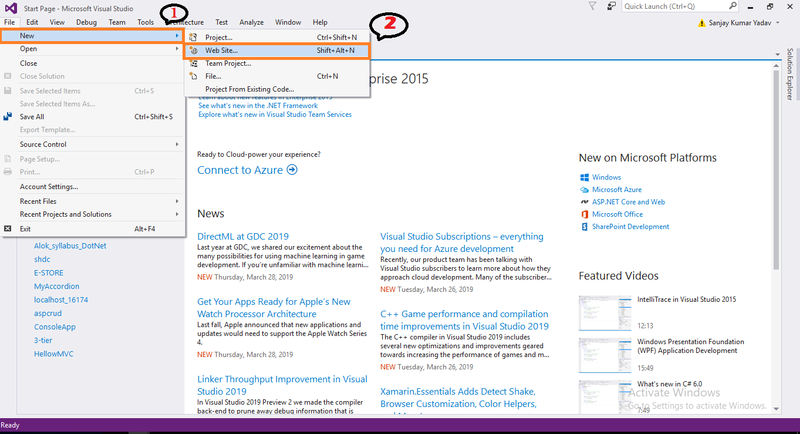 Step 1: Open Visual Studio and click on File--->New--> Website follow the below images. 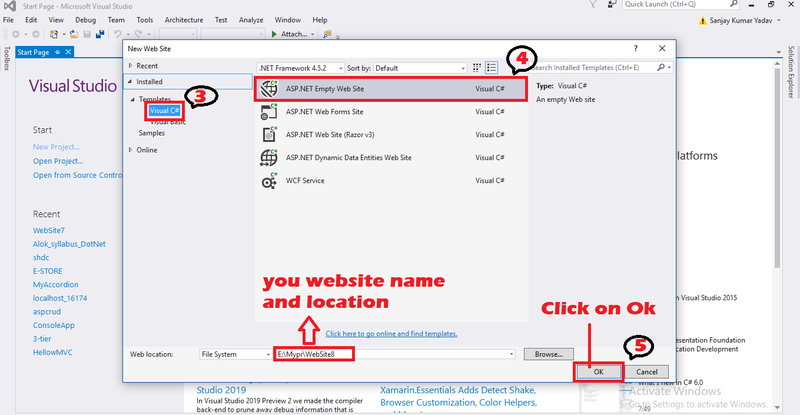 Step 2: Now, Click on Template under it select C# and select Asp.net Empty Web Site then give website name and location and click on OK. Step 3: Find the Solution Explorer and Right click on Website and add webForm with a name Registration. See in below image. Step 4: Add some TextBoxes and One Button to insert the record in the DataBase. And Design the webForm. Finally, Record inserted by the asp.net registration. If you get any problem Please feel free to comment below.